WASHINGTON — Less than a week after the Washington Nationals looked to have selected Bud Black as their new manager, and less than a day after contract problems scuttled the agreement, they’ve named Dusty Baker as their new skipper, the sixth in team history. 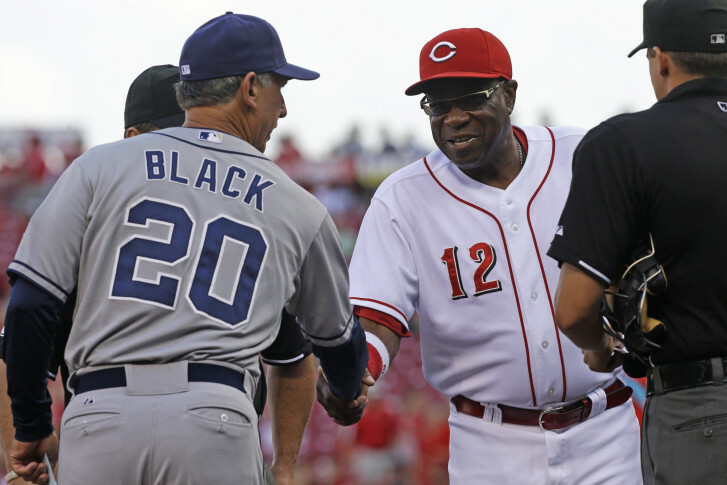 Sources report negotiations with Black faltered when the former San Diego Padres manager was made a low offer. Contract details for Baker are not yet available, but their website says they’ve agreed to terms on a multi-year deal. Baker was a major league player for 20 years and has been a manager for 20 as well, most recently with the Cincinnati Reds from 2008 to 2013. The Nationals will be his fourth team, after the San Francisco Giants (1993-2002), Chicago Cubs (2003-2006) and Cincinnati. He is the 17th-winningest manager in major league history, with a record of 1,671-1,504. He has taken each of his previous teams to the playoffs, reaching the postseason a total of seven times, including the 2002 World Series with the Giants. He’s the sixth manager in major league history to win a division title with three different teams and won National League Manager of the Year honors in 1993, 1997 and 2000. The Nationals had been searching for a replacement manager after Matt Williams was fired last month following two seasons with the club. Williams’ coaching staff was also let go. Rizzo let Williams go a day after the club, which had World Series aspirations, finished the regular season barely above .500 at 83-79, seven games behind the New York Mets in the NL East. Williams had never managed in the majors before being hired for the 2014 season, when the Nationals won their division and he was voted NL Manager of the Year. Williams said he had no idea of the extent of the skirmish until much later in the day. Even though he was, of course, in the dugout at the time, Williams said he hadn’t been aware of exactly what happened — including that Papelbon grabbed Harper by the throat. None of his players or coaches told him about it right away, and he said he hadn’t asked to know more. On the day he announced that Williams would not return, Rizzo was asked what he’d be looking for in Williams’ replacement. Odds are, if the Nationals hadn’t hired Baker, there would have been no black managers in the major leagues for the first time since 1988.